W.F. Hann & Sons has been offering exceptional heating, ventilation, air conditioning and plumbing services to business owners and homeowners across the Cleveland and Northeast Ohio region for more than 110 years. You can anticipate that no one can protect your office or your home from malfunctions, unsafe operation and poor air quality better than our team professionals. We will ensure that your AC service is fully engaged and operational in order to get the best out of your AC service, while, at the same time, significantly lowering the cost of AC operation and ownership. It is no wonder that on the occasion Westlake businesses and residents are in the market for the finest AC repair, AC installation and AC service, the only name they need to know is W.F. Hann & Sons. With over 32,000 residents, Westlake, Ohio is an affluent city in Cuyahoga County. W.F. Hann & Sons is located at 26401 Miles Road, Warrensville Heights, about 25 miles east of Westlake. If Westlake business owners or homeowners are looking for new AC installation or an upgrade, they know their best bet is to get in touch with our NATE (North American Technician Excellence) certified technicians. Our NATE experts are recognized for working in partnership with Westlake clients to address their AC service needs and to help solve any problems they have on time and under budget. In addition, W.F. Hann & Sons is dedicated to developing a healthier, cleaner and more beneficial environment by not only meeting their Westlake clients’ expectations, but by consistently exceeding them. As a well-respected business that has been serving the needs of customers since 1907, W.F. Hann & Sons has the indispensable technology, reliable engineering and consummate product resilience to solve all of its clients’ problems. 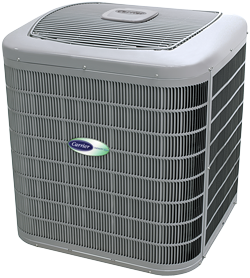 Through our sophisticated technology, we are able to customize the best AC installation systems that will provide the optimum comfort, efficiency and value clients deserve. Our crew is composed of factory-trained, fully-insured and licensed AC repair, AC installation and AC service contractors, and we are well-known for providing the same high-quality professionalism and attention to detail that we would deliver to our own families. As a matter of pride, W.F. Hann & Sons is known for never cutting corners when it comes to serving our customers. Whether you are in need of emergency services or you would like to schedule an appointment for AC repair, AC installation or AC service, call W.F. Hann & Sons, today, at: (216) 831-4200. Serving your needs is our utmost priority.